Last Tuesday was Mardi Gras also known as Fat Tuesday. I wasn’t in New Orleans, but that didn’t mean I couldn’t celebrate. 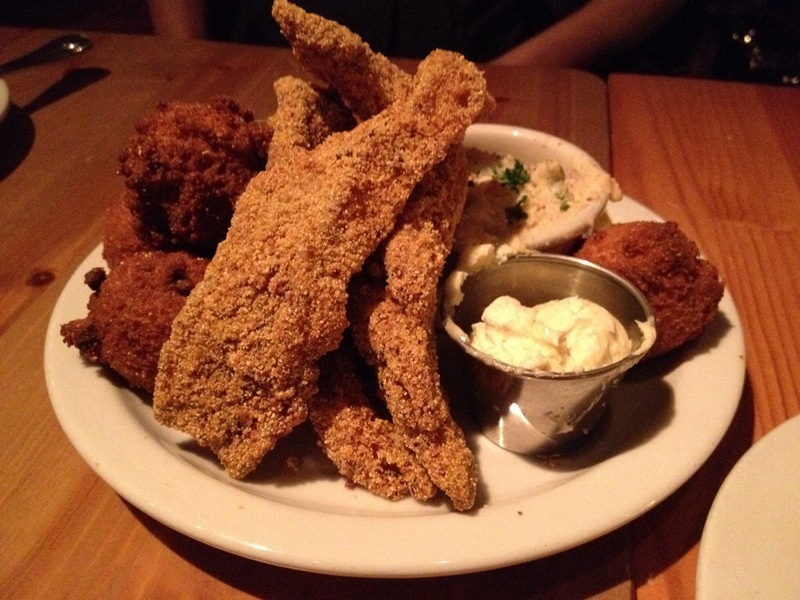 I made last minute plans with my sister and one of my close friends to dine at Angeline’s Louisiana Kitchen in Berkeley. It’s been a few years since I had gone to Angeline’s but I was looking forward to it. The restaurant was decked out in Mardi Gras decorations, everyone was in the mood to have fun wearing beads, and there were some Mardi Gras specials on the menu. I started with a drink special popular in New Orleans, the Hurricane. It was not the regular mixture of juices and rum. With a limited liquor license, this version had soju in it. It was actually pretty tasty. 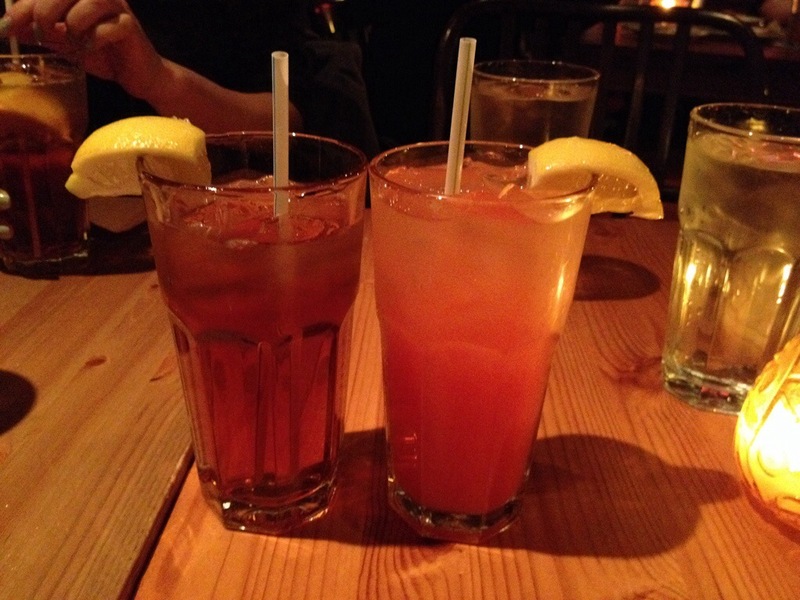 My sister and friend ordered sweet tea. We shared Oysters Bordelaise. I actually remember how good these were from the last time I was here. 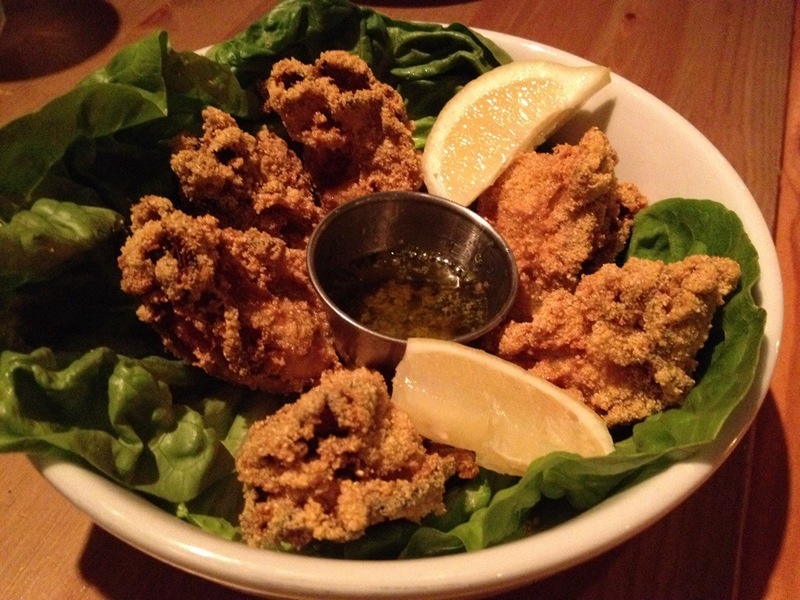 These cornmeal-crusted fried oysters came with lemon and garlic butter. The beautiful golden brown oysters had the perfect crisp. 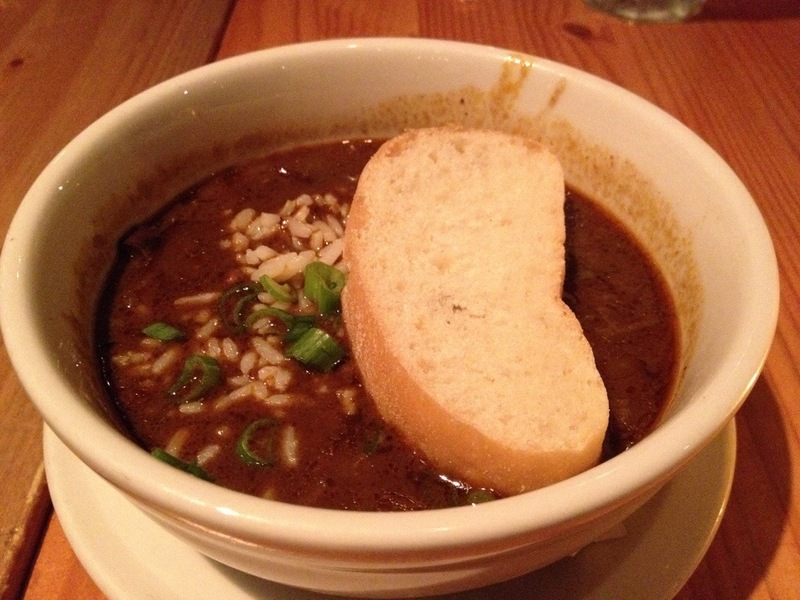 My friend always has a hard time deciding between gumbo and jambalaya so she ordered a cup of gumbo as an appetizer. The gumbo had a mix of rice, okra, andouille sausage, ham, and shrimp. She enjoyed it. She ordered the jambalaya as her entree. 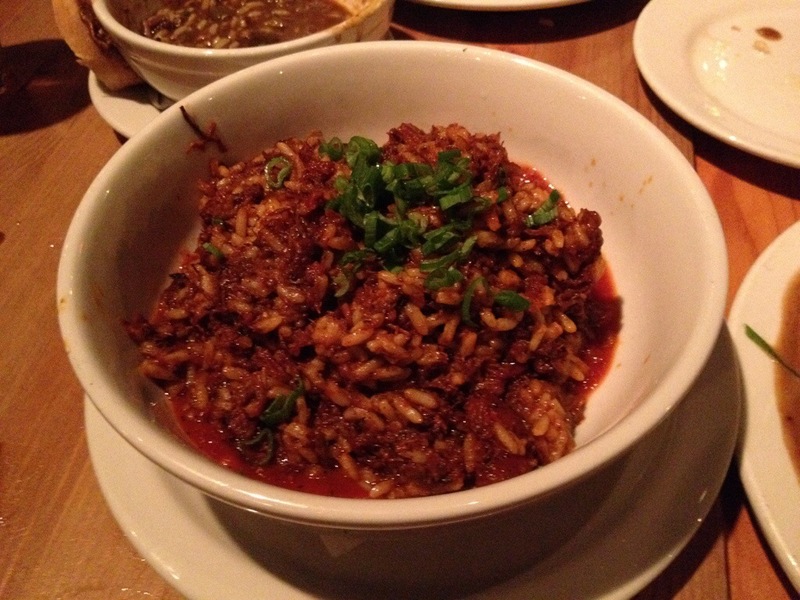 The consistency of the jambalaya was quite rich. It was very meaty with roasted chicken, ham and andouille sausage. I was able to taste this and thought it was missing some of the Cajun flavors. I agreed it was rich and thought that it was thick like risotto. My sister ordered the fried catfish which came with potato salad and hushpuppies. Hushpuppies are cornmeal fritters and I thought that was the star of her dish. It was heavenly when you spread honey butter on them. My dish was a Mardi Gras special which was BBQ shrimp. 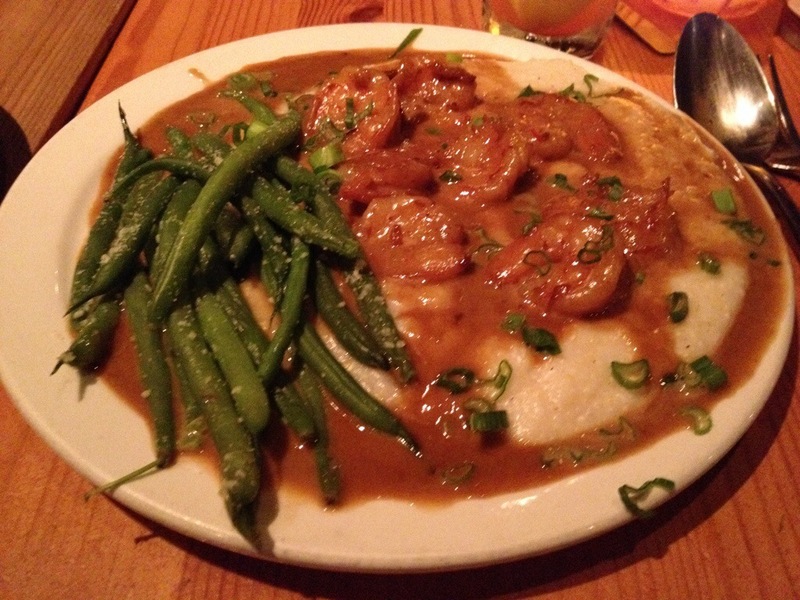 The BBQ shrimp is typically on the menu, but tonight it was served over grits and with green beans. The grits were super creamy and the mix of the sweet BBQ flavor of the shrimp matched well. I think I probably picked the best dish because my sister and friend helped me clean the plate. Although we were full, we went ahead and ordered the beignets. It was another special for the evening and they were made to order. It reminded me very much of my last trip to New Orleans. They came out hot with an abundance of powdered sugar. They were delicious! 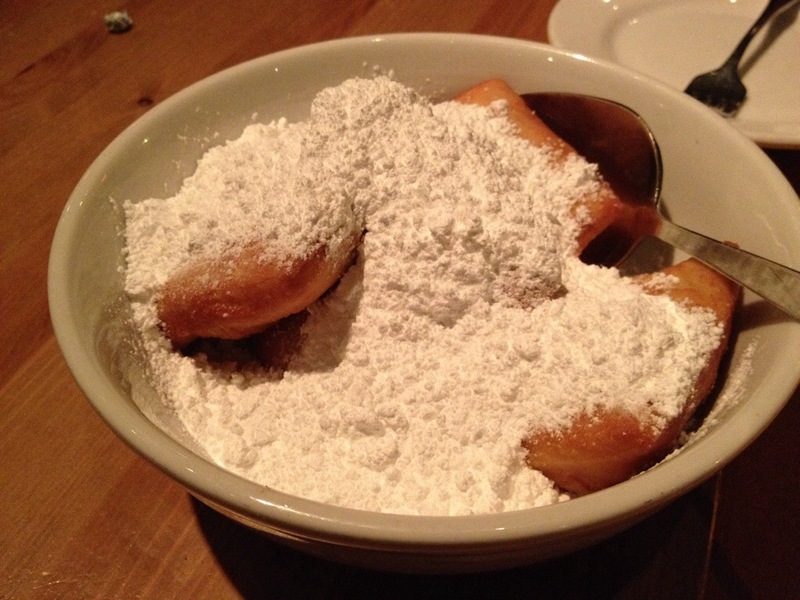 The beignets helped to end the night on a good fun note. 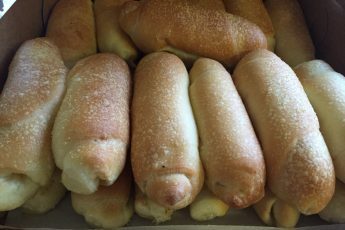 Starbread: Queen of "Señorita Bread"